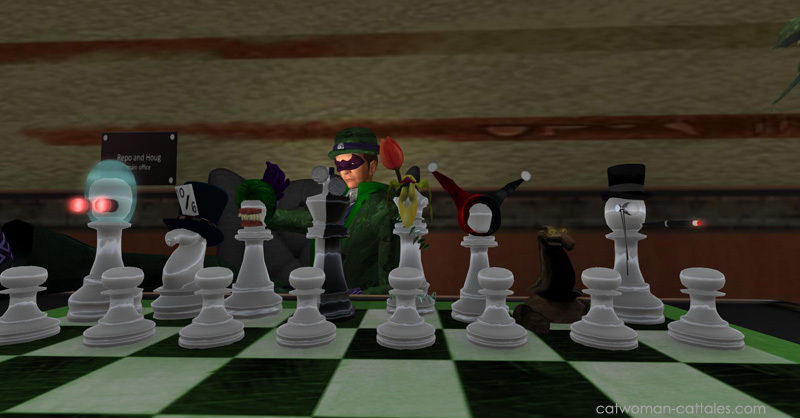 The chess set fashioned after the various Rogues came into being, fittingly, in The Gotham Rogues when they are the weapons Riddler uses on their side of the war against Carmine Falcone and the mobs. It was presumably built by The Z and is the focus of a stellar conversation in Riddler’s confrontation with Batman in Chapter 6: Against Belief. But it would be back! A prop like that was too wonderful to disappear from the tale forever, and Selina unearthed it for a little payback two tales later in Inside an Enigma.